Talk to some politicians and they’re always looking over your head to see if there’s someone better in the room upon whom to bestow their attention. Not Joe Biden. He looks you square in the eye, exudes warmth, is generous with hugs to both men and women. Politics, he says, is about connecting with people. His every action signals he cares. He makes you feel valued and understood. I’ve experienced the “Biden touch” and wasn’t offended. But those signals, especially to younger women in this #MeToo era, are offensive and seen as violations of their personal space. Mind you, they’re not talking about sexual assault or harassment. They’re talking about feeling discomfort at a boundary being crossed. And potential presidential candidate Joe Biden, a good guy but a good guy from another era, is paying the price for being slow to understand that, despite having no intention to harm, his touchiness is sometimes unwanted. That price, however, should not be an automatic disqualification from running for President. You can’t in any way put him in the same category as the misogynist-in-chief or even Al Franken the groper. Biden has stated he never intended to cause anyone discomfort, but Flores’ feelings and those of others deserve respect. Biden this afternoon released a video restating his pledge to adjust to the new norms and be mindful not to encroach on personal space. It seemed sincere and to the point. It’s tempting to dismiss Flores as a former supporter of Bernie Sanders, now possibly a Beto activist, and ponder whether her coming forward five years later is politically motivated. It may be. But I also know from personal experience that it’s awkward to tell a friend you don’t want him or her to greet you with a mouth kiss, so you let the behavior continue for years. Maybe the #MeToo gave Flores permission to come forward. Clearly, the rules of personal interaction have changed. A more important part of Biden’s baggage is his failure to stand up for Anita Hill in her 1991 testimony against Supreme Court nominee Clarence Thomas. Biden has apologized for that (though apparently not to her directly) and lamented his inability to do anything about it. But he was the powerful chairman of the Senate Judiciary Committee, and he could well have called witnesses to corroborate her testimony. Regrettably, he did not, and we have had Thomas on the Supreme Court for 18 years. Part of me wishes that, for his own sake, Biden doesn’t run so he doesn’t have to endure all the toxicity of political life in 2019. But let’s face it. While Biden’s favorability may be at its peak the day he announces, he is now the candidate with the greatest ability to defeat Donald Trump in the general election. If he is going to run, – and I think he should be in the mix – he has to move off the dime. Right now, his delayed entrance is leaving a vacuum, and others are filling it by defining him according to #MeToo nuances. Our democracy is a mess thanks to Trump’s relentlessly abnormal violation of norms of decency, rationality, inclusivity, and more. He is a clear and present danger to the best values for which this nation stands. The Democratic Party must quickly size up its multi-candidate field with an eye to finding the strongest candidate to defeat him in November of 2020. Apparently having their unvaccinated children barred from school since December wasn’t enough to persuade some New York area parents to get their kids inoculated against measles, mumps and rubella. So Rockland County, just north of Manhattan, has now barred those under 18 years of age and not vaccinated from being in public places. And that’s as it should be. Public places are those where ten or more people gather, including schools, places of worship, restaurants, stores and public buses. Penalty for violating the law could be a $500 fine and a few months in the slammer. More than 150 cases of measles have broken out in the county since October. (New York City has confirmed more than 200 cases.) It’s highly contagious. You can catch it from being in a room that an infected person has passed through two hours before. Side effects from measles can be pneumonia, encephalitis, deafness and more. While rubella is not as nasty in the beginning, exposure to a pregnant woman can mean birth defects, including developmental disabilities. Mumps can render a male sterile. By 2000, prior to the surge of anti-vax craziness, medical authorities had declared these diseases eliminated thanks to the near universality of MMR vaccinations, at ages one year and four to six years. There’s also the MMRV injection, which includes chicken pox. How lucky we are that immunizations like these have been available since the early 1960’s. Already in 2019, more than 300 cases have been reported in 15 states, including Washington, Texas, Illinois and California. The recent surge has been especially prominent in populations with ties to Israel, a gift from the Holy Land by religious communities there who, like those in Rockland County, are anti-vaxxers. Children, teenagers and adults, especially traveling to foreign countries, should get vaccinated. No child in any school system should be allowed to attend class without proof of vaccination. Beyond the ultra-Orthodox of Rockland County or Brooklyn, other denominations have obtained religious exemptions from immunization regulations. If you object philosophically or your religion tells you that vaccination is interfering with God’s destiny for you, your right should be respected. But that exercise of personal freedom doesn’t give you the right, in effect, to weaponize your child by sending him or her to school and exposing my child or grandchild to potentially life-altering disease. This regulation should be extended, as in Rockland County, to other places. Science has debunked the exaggerated dangers of vaccination, though, in the current anti-science atmosphere, facts have not succeeded in eradicating virulent pockets of anti-vaxx hysteria. Immunization is 97 percent effective, and I deeply believe that refusal to vaccinate one’s child should be treated as a form of child abuse. But, even if you don’t want to be that harsh on misguided, ill-informed parents, their refusal puts more than their own children in jeopardy. Good for Rockland County for taking bold steps, not to be punitive but because they are necessary for public health. The thought of impeaching Donald J. Trump is enticing, especially because my preferred approach, drawing and quartering, became illegal in the mid 19th century. Despite the allure of impeachment and despite its having been a pledge on which some new members ran for Congress in 2018, Nancy Pelosi was right to say she is against impeachment “unless there’s something that’s “so compelling and overwhelming and bipartisan, I don’t think we should go down that path, because it divides the country.” Besides, she added, “He’s just not worth it.” Her reluctance may seem heretical to some, but it is shrewdly strategic to chill the left’s lust for impeachment at this time. Impeachment, which the Democratic House of Representatives could well pass, would be just step one, a prolonged process of gathering evidence, holding hearings, drafting and voting on the indictment. The House would impeach by majority vote. The Senate would then have to prosecute the case, with the Chief Justice presiding, and vote by two thirds to convict. That isn’t going to happen. As former Congressman Barney Frank, speaking last Thursday to a New England Council gathering, reflected, “There is nothing to be gained in starting an impeachment that will fail.” Given the Republican-controlled Senate – led by some who live in fear of being “primaried” by Trump supporters – it is hard to imagine a Senate conviction. Remember, when Richard Nixon resigned, he was facing trial in a Democrat-controlled Senate. Even if it succeeded in the Senate, it likely wouldn’t happen until sometime in 2020, leaving just a few months for the remainder of Trump’s term. Meanwhile, this man, whom Pelosi holds to be “ethically unfit, intellectually unfit, curiosity-wise unfit,” could become a martyr, with increased blow-back on the Democrats. Besides, why give even a few months of honeymoon incumbency to right-wing conservative and religious zealot Vice President Mike Pence as a leg up on 2020? In 1998, Bill Clinton was impeached by the House (on charges of perjury and obstruction of justice), but the Senate failed to convict. Former MA Congressman Bill Delahunt, also at the New England Council, recalled hearing then-Speaker Newt Gingrich tell Congressman Tom Delay in the White House gym that the Republicans would surely pick up 15 to 20 seats in the election because of the impeachment process. Instead, Republicans had a net loss of six seats. By 1998-1999, the American people were fed up with two years of impeachment-induced paralysis, and “nothing came out of it that warranted the suffering that paralyzed the country for two years,” said Delahunt. Among the effects of that impeachment process was the derailing of Clinton’s progress toward a Palestinian/Israeli solution. Current investigations of Trump can legitimately go forward – and should with deliberate action – without drafting articles of impeachment and without bringing the 116th Congress to a standstill. Frank faulted impeachment advocate billionaire Tom Steyer and others for impugning the courage of those who disagree with moving to impeach. I would include Yoni Applebaum, senior editor of The Atlantic, in the Steyer camp. She, too, says failure to impeach would be Congress’ deferring to the voters “to do what it cannot muster the courage to do itself.” I don’t see this as lack of courage but a clearer sense of pragmatic strategy to achieve the overriding goal of replacing Trump in 20 months. Applebaum also argues that Trump’s “ability to sidestep scandal by changing the subject- perhaps his greatest political skill – will diminish” with the impeachment process. But if, in the likely case that Trump is not convicted, the outcome could boomerang. After the Senate failed to convict Clinton, his approval rating skyrocketed. The Constitution doesn’t mandate impeachment. As Barney Frank pointed out, “No prosecutor was ever mandated to bring a prosecution no matter what the consequences would be. Yes, having someone be guilty is a prerequisite for prosecution, but it is not required to go forward.” The strategic alternative is to defeat Trump in the general election, rather than stoke the already-acerbic divisiveness in the system. Former Representative Michael Capuano believes this represents the view of the majority of Democrats. “Proof matters. Evidence matters. News reports aren’t enough to throw the country” into a tailspin. Refusing to rush to impeach doesn’t absolve the President of his many missteps, transgressions, high crimes and misdemeanors. If current Congressional hearings establish wrong-doing that trigger outrage from a sufficient margin of now-invertebrate Senators to convict, then the principled and pragmatic approaches could become one. If the Democrats want to beef up their chances to regain the Senate and the Presidency, a better course is developing the best public policies to meet the needs of the American people and reflect sound values gone AWOL in Washington. If they succeed, and communicate their message well, they could hold the House, regain the Senate and take back the White House next year. Fox’s Chris Wallace, one of the high-quality piano players in Trump’s favorite propaganda brothel, tried to press Mulvaney on whether the President bore any responsibility for his inflammatory rhetoric, such as warning “Islam hates us” and ordering troops to the Mexican border to protect us from an “invasion” of illegal immigrants. Mulvaney said absolutely not, implying this was an isolated incident. Then, with a straight face, Mulvaney dodged a question of whether the president would consider delivering a speech condemning white nationalism, white supremacy and anti-Muslim bigotry. Meanwhile, former Massachusetts US Senator Scott Brown, now US Ambassador to New Zealand, said on CNN he had not read the suspect’s writing explaining his motivation, will not read it and urged others not to. Their tone reflected the view of their boss who said, on Friday after the shooting, that he didn’t think white nationalism is an increasing threat. But it is, internationally and domestically. The globalization of toxic social media has acted as an accelerant. Look at the sources of inspiration for the attacks. The New Zealand shooter’s manifesto is but the latest example. The Global Terrorism Database includes US data showing clearly that, since 9/11, there have been more attacks by white domestic terrorists — killing more people—than attacks by Islamic terrorists. Right-wing terrorism and hate-driven violence, Mr. President, are indeed increasing. According to FBI statistics released last year hate crimes in the US were up 17 percent. The Obama Administration created a $10 million Countering Violent Extremism Grant Program in 2016 to fight domestic terrorism of all types. The Department of Homeland Security awarded $400,000 to the Chicago-based Life After Hate, a national network of former white supremacists who speak to young people to dissuade them from following supremacist ideology. It was the only grantee organization that specifically fought white supremacist ideology. When Trump took over, he defunded Life After Hate. After the Pittsburgh synagogue massacre, the administration apparently killed the entire domestic terrorism program.. It can happen here. It already has. It will again. Running around the house yesterday, looking frantically for the directions to set my clock radio forward to Daylight Saving Time, I thought about how stupid it is to have to go through this twice a year. Why not just go on daylight saving time year-round and call it, er, a day. Florida Senator Marco Rubio has introduced legislation to preserve the daylight saving shift and never set clocks back again. That’s fine by me. As soon as spring rolls around, I’m already worried about the few months left until the days start getting shorter again. I’m much happier when sunlight goes into the evening. The only thing good about the semi-annual change of time is that it reminds us to check the batteries in smoke detectors. I think we can figure out a substitute prompt. The onset of Daylight Saving Time signals a much more important issue. Today marks the beginning of Sunshine Week, the creation of the American Society of Newspaper Editors to call attention to the need for greater accountability by government through public records disclosure. Sunshine – transparency, that is – is said to be the greatest disinfectant. Cue the refrain of Aquarius by The Fifth Dimension, “let the sun shine, let the sun shine, the sun shine in.” Consider it the anthem for this Sunshine Week. Examples abound of how government at all levels routinely confounds people with legitimate requests for government documents. Government stonewalls in many ways, from claiming the documents aren’t available, to creating enough loopholes and exemptions to public access requirements to make the Freedom of Information Act meaningless, to charging so much per page that dissemination is prohibitive, to redacting allegedly sensitive information on documents so that the pages you eventually receive are virtually all blacked out. News media can’t play their rightful role in aiding the public’s right to know, and we can’t be a responsible citizenry without better access to public information. That will require a substantial reduction in obfuscation, obstacles, and other government displays of officious passive-aggressive behavior. This principle will be tested at the federal level when the Robert Mueller report is complete, and the special counsel turns it over to Attorney General William Barr. While Barr gave lip service to transparency in his confirmation hearings, he has not committed to making the report public. The Democrats will fight tooth and nail to make it happen, and well they should. Regulations call only for a confidential report from Mueller to the AG. Worst case scenario would be for Barr only to indicate an intention to indict or not to indict. But, given the core focus of Mueller’s mission to ferret out the nature of the relationship between Russia and the President and his 2016 campaign, the special counsel’s findings will bear directly on whether or not our democratic process has been compromised. Put simply, the public needs to know the answers to that question. Barr may not be required to make the report public, but he is allowed to do so if he deems it in the public interest. His answers, when repeatedly pressed about whether he’d go public with the report, restated his desire for as much transparency within the constraints of the law. Pretty opaque language, and not especially reassuring. All tiers of government have track records of making it difficult for people seeking public disclosure. Supposedly enlightened Massachusetts has traditionally led the nation in resistance to transparency. It wasn’t until 2017 that the Bay State overhauled its 1973 public records law providing penalties for agencies that failed to respond to Freedom of Information requests in a timely way. So, too, did it mandate that more public records be available online, and it limited how much agencies could charge for copies. In the spirit of this Sunshine Week, let’s hope that, from the Bay State to the marble halls of Washington, whether on Daylight Saving or Eastern Standard time, our elected and appointed officials provide us with the records and reports we need to make informed judgments about how our democracy is working and what is needed to make it work better. Regular readers of my blog have expressed their displeasure that, when I wrote my last blog on non-fiction books, I promised a follow-up blog with my recent adventures in fiction but failed to do so. In the spirit of some unnamed Virginia politicians, I apologize for the lapse and humbly offer the following . The Orphan Master’s Son by Adam Johnson is timely against the backdrop of Donald Trump’s meeting with Kim Jong Un. But it suffers by being like two books. The first part is from the perspective of Jun Do, an orphan in North Korea, dehumanized by the harshness of his life. The state conscripts him into the army, teaches him English, trains him at sea in electronic spying, and sends him forth as a kidnapper for the government. He becomes a skilled torturer and interrogator, learning to function in dark, subterranean prisons. His story exemplifies the brutality of North Korea, amplified by the epic propaganda of state-controlled media. In the second part, Jun Do has escaped from prison where he himself was tortured by General Ga, who ran the prison. He assumes Ga’s persona and even moves in with the General’s wife, opera singer Sun Moon. The voices alternate from Jun Do having assumed General Ga’s identity, to an interrogator/torturer in charge of a captured Jun Do/General Ga, to the voice of the state propagandist blaring episodes of each year’s “best North Korean Story” over loudspeakers in public places. The technique is confusing, though it enhances the precariousness of life in a totalitarian state. The darkness is unsettling and haunting. Don’t read at bedtime. The Gathering by 2007 Booker Prize writer Anne Enright. One hesitates to say that one novel captures the Irish soul (or any other national “soul,” for that matter), but The Gathering offers some insight. The focus is on a large Irish family, with narrator, Veronica Hegarty, returning home to identify the body of her brother Liam, who has committed suicide. He is her favorite among all the siblings, though he is an alcoholic and a “messer.” The wake and the funeral give Veronica many opportunities to parse the family history: addiction, poverty, abandonment (at least four of the 12 kids raised by the grandmother, whose husband was not the only man in her life) and sexual abuse. Veronica is torn by guilt that she might have done more to prevent the suicide, and her grief estranges her from her own husband and daughters, with whom she shares a comfortable middle-class life. With steely insight and mordant humor, she dissects all the family’s struggles, sexuality, and enduring dysfunction. Compelling narrative, beautiful mastery of language, unblinking insight into character. In Paris in the Present Tense by Mark Helprin, Jules Lacour is a 70+ cellist and teacher, a veteran of the Algerian war for independence, a Holocaust survivor, a widower obsessed with getting enough money to send his small grandson abroad for treatment for his otherwise terminal cancer. An obsessive athlete and incurable romantic, he gets into a predicament that makes him the target of a police murder investigation, providing a thread of tension through passages of sumptuous writing. Any reader who loves Paris will be intoxicated by the lush descriptions of the architecture, vistas and byways, the suffusion of art and music, but also profoundly disturbed by the simmering hatreds among immigrants and citizens, Muslims and others and a rising, toxic anti-Semitism. Celeste Ng’s Little Fires Everywhere is as good a read as her Everything I Never Told You. Set in the seemingly idyllic Cleveland suburb of Shaker Heights, it looks behind the manicured lawns and fashionably draped windows to explore racism, class tensions, family dysfunction and dark family histories. There are clashes of families and of values, mysteries to be solved, ambiguities to be parsed. Ng probes relationships between mothers and daughters, which are as fraught in this privileged and outwardly progressive community as anywhere in the country; adolescence is complicated and often dark. The unraveling, focused especially on two particular families, is riveting. I urge you to send me comments on your recommended book selections. Remember how folks despaired that the Democrats had “no bench?” As it turns out, there is significant strength in the cluster of presidential candidates coming forward. I don’t just say that because Donald Trump has lowered the bar on what it takes to be president or because, as the bumper sticker says, “Any Functioning Adult 2020.” I hope the coverage will be as good as the candidates. The media’s treatment of Minnesota Senator Amy Klobuchar is not a good beginning. For more than a week Huffington Post, Buzz Feed and the New York Times reported anonymous charges about the Minnesota senator’s allegedly abusive treatment of her staff. Instead of “Minnesota nice,” is she really the acid-tongued “Devil Wears Prada” candidate? 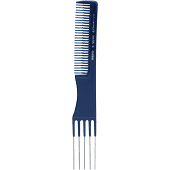 Does Amy Klobuchar’s berating a staffer for forgetting a fork for her salad, using her comb to eat her lunch and then asking the staffer who forgot the fork to clean it –disqualify her from being President of the United States? Such stories have ricocheted around social media sites, on cable television, in the Twitterverse and in chat rooms. Debates about whether such attacks are sexist followed, along with defensive responses from reporters doubling down on their earlier charges. Bernie Sanders screams. The late John McCain had a notoriously short fuse. Barney Frank was no picnic to work either, nor, for that matter, was priest and anti-Vietnam War Congressman Bob Drinan. But their behavior did not become their personal brands or the leads in network coverage. So what should we make of the reports that claim Klobuchar is one of the worst bosses in Congress? LegiStorm.com annually calculates a “weighted staff turnover index” to compare rates of full-time congressional staff departures. It makes no distinction of why a staffer leaves: moving to a different congressional or campaign payroll or advancing to a better job, all with his or her boss’s support, counts as turnover. So do departures prompted by uncontrolled anger, sexual abuse or unethical behavior. It’s only a gross turnover index. Out of sloth, ignorance or malice, the compilation is treated as a definitive “worst boss” in Congress list. Covering FY 2001-2017, Klobuchar ranked third and in FY 2018 she dropped to fourth- not first as some reports claimed. It’s worth noting that a disproportionate number of the top ten are female. The New York Times buttressed its misuse of the LegiStorm ranking with an unscientific sampling of complaints from “more than two dozen” former staffers. I don’t countenance abusive behavior, but from years covering national politics up close I do understand how demanding congressional and presidential bosses can be and how difficult it is for their largely young, poorly paid staffs to maintain any semblance of reasonable work-life balance. (It’s why you do it when you’re young.) I wonder how many of Klobuchar’s unnamed outraged critics are millennials, shielded by trigger warnings and helicopter parents. Work on the Hill is a hard-driving environment, not unlike some other sectors (television, for example), where young adults can’t rely on insulation from micro-aggressions. At that same CNN town hall, Klobuchar made clear that while she stands with the Democratic agenda, she sees some of its positions, such as Medicare for All, free college tuition and the Green New Deal as aspirational rather than a pragmatic blueprint for action now. Of the candidates running, she’s more a moderate than progressive, more center left than hard left. Unlikely to raise the rafters with soaring rhetoric, she believes in compromise and incremental practical change. Polling indicates Democrats want a candidate who can beat Trump more than one who is the purest distillation of their policy ideals. Klobuchar is more likely to do well with general election independents and suburban Republicans, the ones who fueled Democratic success in 2018, than with the true believers who usually dominate primary voting. Hers is a voice that should be heard. No one should try to run her out of the race because of anonymous and possibly exaggerated charges that she was mean to staff. 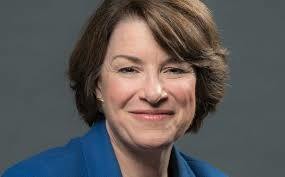 Klobuchar’s protean challenge will be next year’s Iowa caucuses. The outcome is likely to make or break her candidacy. Her biggest obstacle until then may be a Joe Biden entry to the 2020 race. The media should put the eating-salad-with-a-comb anecdote – which I think could be a clever solution – in the rear view mirror.